Provides a series of functions to set and recall a new variable known as game time, as well custom tints based on current game time to give the appearance of night and day. # appearance of night and day. There was some.. I forgot though. Quick question! 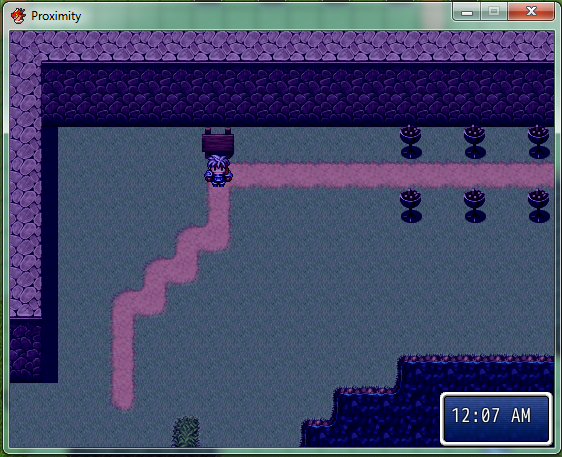 It looks great but I does it work with RPG maker VX Ace as well? DawningStar wrote: Quick question! It looks great but I does it work with RPG maker VX Ace as well? This one is for Ace! Ahh, Thank you... I had wondered that for a little bit now! I do like ace much more than VX anyways! Added it to my script folder! Oh, well... I guess I should have had a notice on what RGSS versions went with what. I will fix that so everyone knows. Anyways, great script. I have always been a huge fan of RGSS time scripts and this one just works so well. Im not sure if you are accepting any ideas/suggestions for this though, but I have some ideas floating around if you may want to take a look at them. Either way, thank you for such a great contribution to our site. I'll always listen to ideas and suggestions, no harm in throwing them out there.